Gold and Silver Bullion Invest Online. Buying gold is an important way to preserve your purchasing power. It is a widely accepted investment principle that any serious investor should hold at least 10% of their portfolio in precious metals. 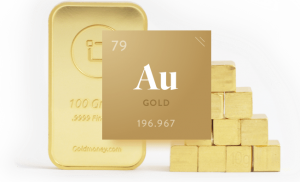 Physical gold is a reliable and trustworthy asset, and is therefore an insurance against today’s monetary turmoil. Find out more about why to invest in gold. 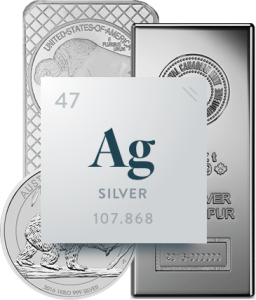 As well as gold, you may also consider investing in other precious metals such as silver, platinum, and palladium. Find out more about these metals and how you can optimise your investments by diversifying your portfolio of precious metals. Like gold, silver is also a smart way to preserve and increase your purchasing power. However, investing in silver tends to be more volatile than investing in gold. Both precious metals have monetary value, but silver also has wide-scale industrial applications, such as use in electrical conductors. This is because silver has a high electrical and thermal conductivity. Therefore, due to its wider industrial use, the price of silver tends to fluctuate more. You might also consider buying other metals such as gold, platinum and palladium. You can learn more about how to diversify your portfolio by optimizing your investments.